Are you looking for the best in Midway, Utah Home Inspections? HomeTech Property Inspections is locally owned and certified home inspection company. We serve the Northern Utah Real Estate community. 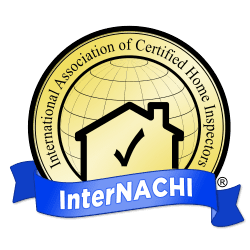 Our home inspection services focus on Wasatch and Summit counties, including: Park City, Heber City, Midway Utah and the surrounding areas. There is only one place in the country where you can ski the slopes and scuba on the same day. There is only one place in the country where world class Nordic skiing athletes come to train at the premier Soldier Hollow Resort. There is only one place in the country that holds the largest championship sheep dog competition, and there is only in place in Utah where polka music, crafts, and lederhosen all come together. That place is Midway, Utah. Tucked back in the corner of the Wasatch Mountains in Heber Valley, Midway is home to Utah’s Swiss Alps, dubbed so by the original Swedish settles who were reminded of the green grassy valleys and the snowcapped rocky slopes of their home country. And they would know what an Alp is. Almost all Midway home inspections range from 1,000 to 8,000+ square feet. The homes in Midway vary in ages, sizes and condition. With over 10 years of experience, you can rely on HomeTech to inspect every square foot of every home. Learn more about pre-purchase inspections. Learn more about pre-purchase inspections.